In a divided country desperate for unity, two sons of South Carolina show how different races, life experiences, and pathways can lead to a deep friendship?even in a state that was rocked to its core by the 2015 Charleston church shooting. Tim Scott, an African-American US senator, and Trey Gowdy, a white US congressman, won’t allow racial lines to divide them. They work together, eat meals together, campaign together, and make decisions together. Yet in the fall of 2010?as two brand-new members of the US House of Representatives?they did not even know each other. Their story as politicians and friends began the moment they met and is a model for others seeking true reconciliation. 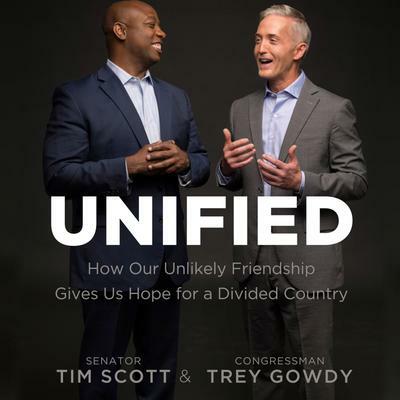 In Indivisible, Senator Scott and Congressman Gowdy, through honesty and vulnerability, inspire others to evaluate their own stories, clean the slate, and extend a hand of friendship that can change your churches, communities, and the world.